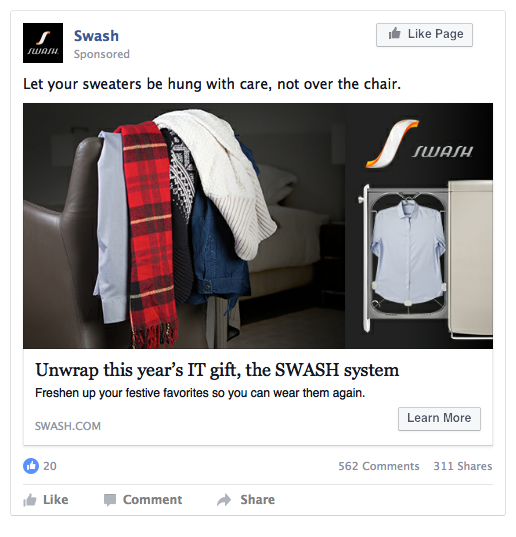 The SWASH system is a revolutionary in-home clothing care device created by Tide and Whirlpool. It dewrinkles and freshens clothes in 10 minutes. 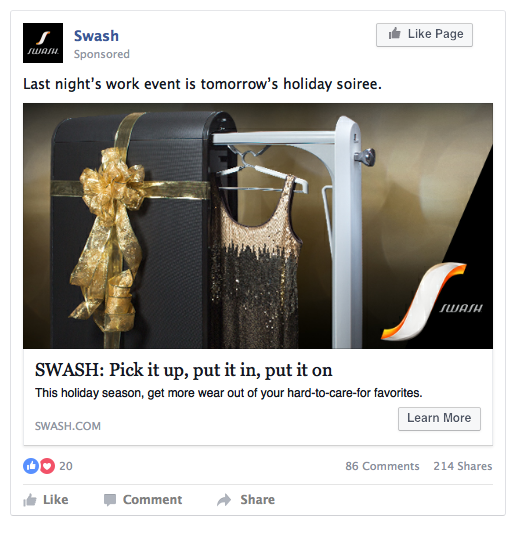 As a junior art director, I concepted social media campaigns, designed emails for desktop and mobile, made iMedia banners, executed in-store displays, developed responsive homepage layouts, redesigned the SWASH.com website, and created print/promotional materials. My team and I concepted, designed, produced materials for, and helped install a window display at a Bed Bath & Beyond in New York City. 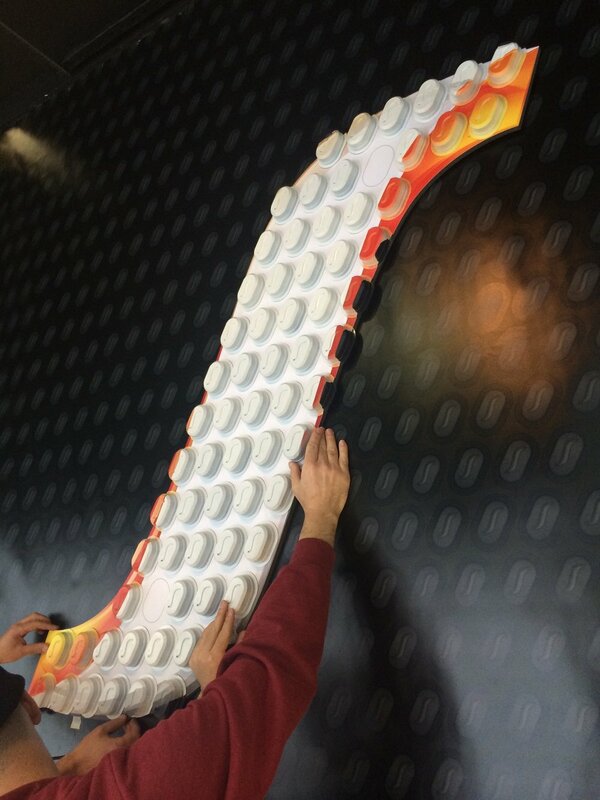 The finished display included 3D logo signage made from SWASH PODs, messaging to explain the product's four benefits, mannequins to demonstrate the before and after of the device's usage, and a looped video showcasing product benefits. Video courtesy of Underground Visuals. 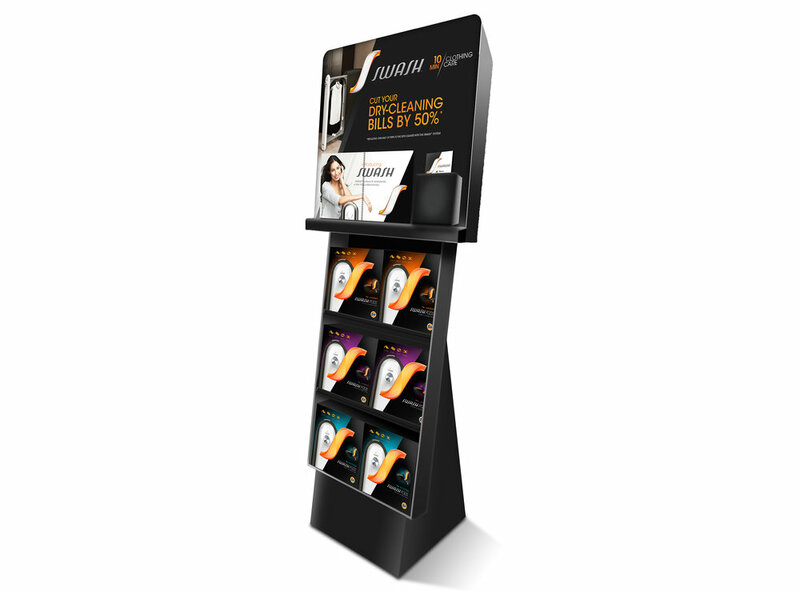 In-store display that includes product pack-out, information booklet, and take-one pamphlets. Copyright 2018 Jordyn Nevers. All Rights Reserved.